We examined the degree of lead exposure, based on tissue-lead concentrations, in 184 raptors of 16 species found dead across Canada. The most prevalent species available for examination were Red-tailed hawks, Great horned owls, and Golden eagles (n=131). The majority of individuals examined had very low lead accumulation, however 3–4% of total mortality in these 3 most commonly encountered species was attributed to lead poisoning. In addition, 1 of 9 Bald Eagles found dead far from aquatic environments was lead poisoned; and a single Turkey Vulture had a highly elevated bone-lead concentration (58 µg/g dry weight). 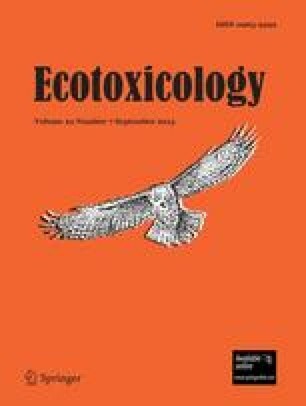 Evidence from our study, along with other published research, indicates that upland-foraging birds of prey and scavengers that typically include game birds and mammals in their diets, are at risk for lead poisoning from the ingestion of lead projectiles from ammunition used in upland hunting. The use of non-lead ammunition for hunting upland game would effectively remove the only serious source of high lead exposure and lead poisoning for upland-foraging raptors.